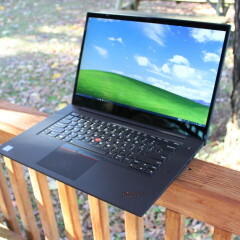 Lenovo announced the ThinkPad P1 in mid-August, just a couple of weeks before announcing the ThinkPad X1 Extreme. As far as the body goes, they're both the exact same machine. 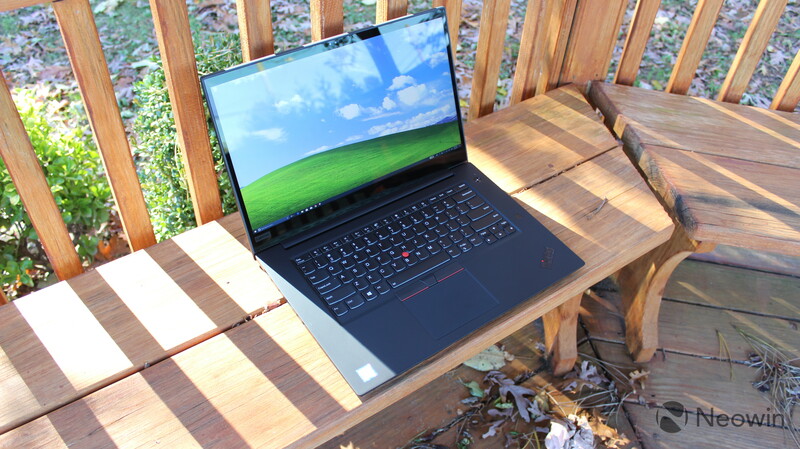 The difference is that the P1 uses the workstation-class hardware found in the ThinkPad P-series devices, including a Xeon processor and Nvidia Quadro graphics, rather than a Core processor and GTX graphics. But the point is that the ThinkPad P1 is more or less a member of the flagship X1 family, but in its own workstation class. The device doesn't have an X1 logo on it, but it does have the black ThinkPad logo on it that used to be reserved for the X1 lineup. 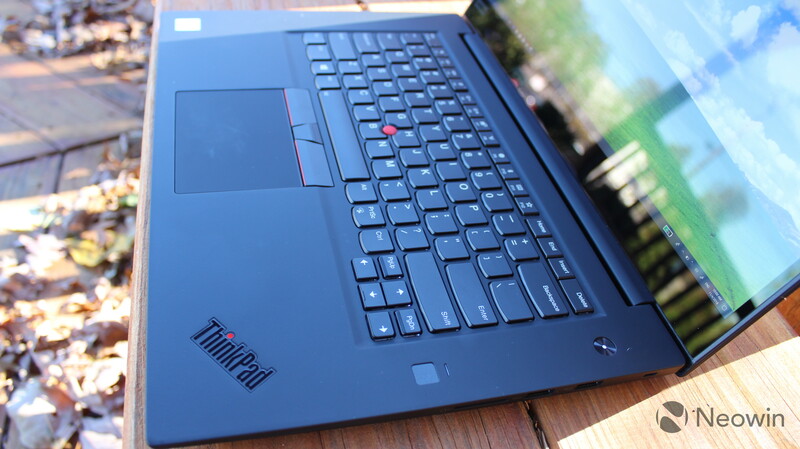 This machine brings the best of what ThinkPads offer, with top hardware, powerful performance, and more in a slim and light form factor. The non-touch model comes in at just 3.76 pounds, and the touch model is 4.06 pounds, and it's only 18.4mm or 18.7mm thick, respectively. While Lenovo stuck with its proprietary power adapter instead of USB Type-C, you'll notice that the power brick is pretty small, at least for a 135W AC adapter. 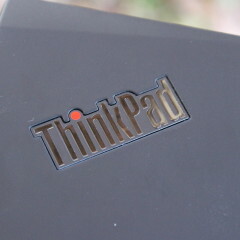 The adapter also ships with the ThinkPad X1 Extreme. The Lenovo ThinkPad P1 has premium ThinkPad materials, as it's built out of a carbon fiber and graphite hybrid. There's no plastic here, and I absolutely love it. 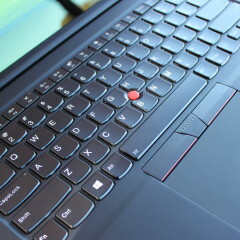 The palm rest feels smooth and cool, and it's one of the things that I really appreciate about premium ThinkPads. 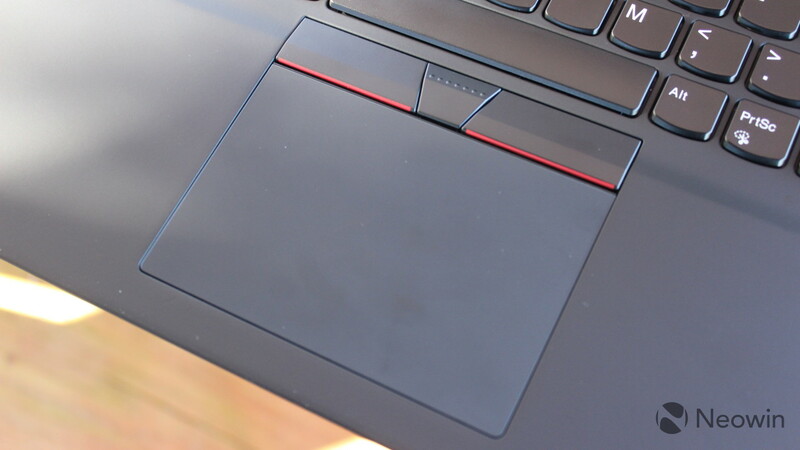 There are enough aluminum MacBook clones on the market, and Lenovo sticks with this iconic design. The carbon fiber material also allows for the casing to be lighter than aluminum, which is actually pretty heavy. Like all ThinkPads, it's also meant to be durable, passing 12 MIL-STD 810G tests and Lenovo's own in-house durability tests. That means that it can handle heavy vibrations, humidity, extreme temperatures, high altitudes, and mechanical shock. 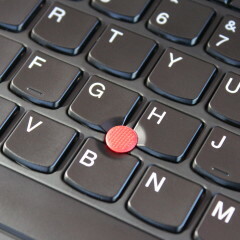 ThinkPads are also tested for explosive atmospheres, fungus, shipboard vibration, sand, and dust. Another thing that's always fantastic about premium ThinkPads is that there's no shortage of ports. On the left side of the device, there are two Thunderbolt 3 ports, HDMI 2.0, mini-Ethernet, 3.5mm combo audio, and power. Sadly, Lenovo went with its proprietary power adapter on this, although you can use a Type-C charger if you want. You'll just want to find a 130W USB Type-C charger, which Lenovo easily could have shipped with the device. One reason that companies tend to stick with legacy charger, especially on business machines like ThinkPads, is because businesses tend to have a bunch of them lying around from older machines. On the right side, there's an optional Smart Card reader, an SD card reader, a Kensington Lock, and two USB 3.1 Gen 1 Type-A ports. USB 3.1 Gen 1 supports data transfer speeds of up to 5Gbps, compared to the 40Gbps that's offered through each of the Thunderbolt 3 ports. In fact, each of those Thunderbolt ports can power two 4K monitors or one 5K monitor, and this laptop has the GPU power to do just that. ThinkPads are engineered for getting work done, and the P1 is meant to do even more with the powerful workstation processor and the dedicated graphics. A diverse selection of ports is always much appreciated. I rarely need a USB Type-A port, let alone a second one, but when I do, it's nice that a three thousand dollar PC has them. 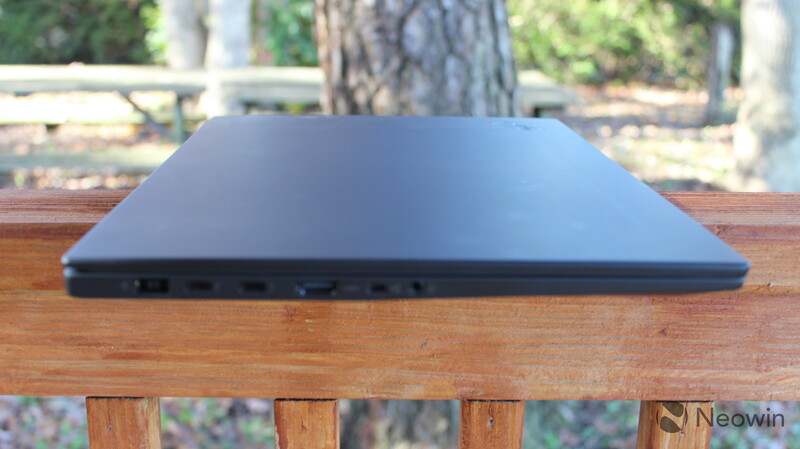 The Lenovo ThinkPad P1 comes in ThinkPad black, which is blacker than it used to be. 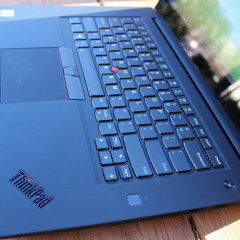 With this year's ThinkPad X1 PCs, Lenovo darkened the shade of black and gave us a new ThinkPad logo. 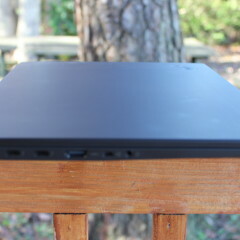 Upon opening the device, the design is pretty standard for a ThinkPad clamshell. It has a round power button to the top-right of the keyboard, and a fingerprint sensor on the bottom right. 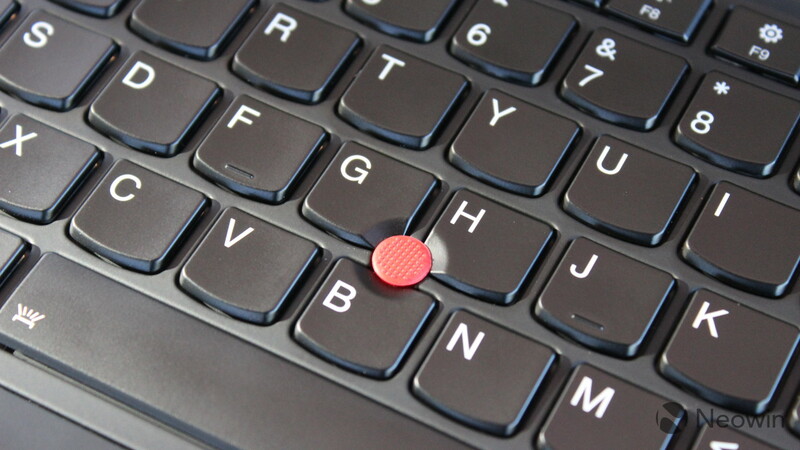 There's a TrackPoint between the G, H, and B keys, and a trackpad under the spacebar with three physical buttons. 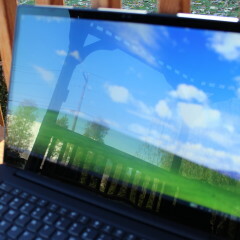 As with other ThinkPads from this year, users have the choice between the ThinkShutter privacy guard and an IR camera. Strangely, if you choose the 4K Dolby Vision option instead of 1080p, the IR camera is the only option. Both ThinkShutter and an IR camera for facial recognition are fantastic features, and it's a real shame that we can't have both. 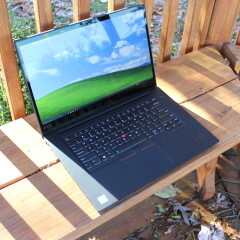 As I mentioned earlier, everything about the ThinkPad P1 is the same as the X1 Extreme except for the CPU, GPU, and the X1 logo. So yes, it has the same 15.6-inch display. Lenovo sent me the 4K screen with Dolby Vision, and it's absolutely beautiful. Keep in mind that there are many firsts for the X1 series here. 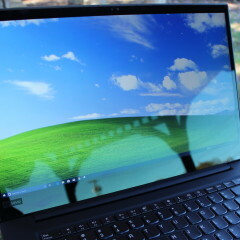 The P1 and X1 Extreme are the first to have 15.6-inch displays, as the X1 Carbon and Yoga are both 14 inches, and the Tablet is 13.3 inches. They're also the first 4K displays, as the others go up to QHD. 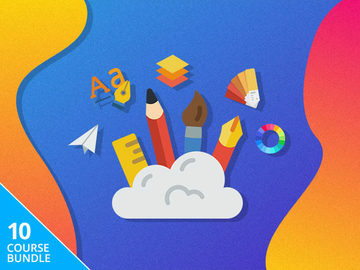 And finally, they're both the first to offer dedicated graphics, and that's why it really makes sense to offer standard and workstation versions of it. Dolby Vision dynamically adjusts the color profile of a video that you're watching based on its metadata, where standard HDR is static throughout the video. 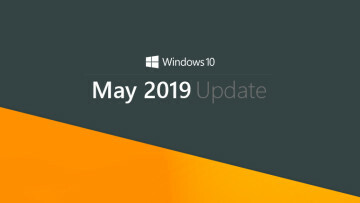 As Lenovo points out, streaming services that support it include Amazon, iTunes, Netflix, and Vudu, although other HDR standards that are supported by other vendors should work as well. Also, the fact that it's 15.6 inches is a big deal. It's a noticeable difference from the 14-inch X1 Carbon or X1 Yoga, which also were offered in Dolby Vision flavors. The larger screen feels a lot more immersive. The P1 comes with Dolby Audio too, so it's an immersive media consumption experience. I should point out that the audio quality is also great for conference calls; this is a business PC, after all. But when you take it home, you can watch shows on Netflix in some crazy quality. I do still miss OLED a bit, which was what Lenovo used before switching to Dolby Vision this year. That's really just a personal preference though, as the Dolby Vision screen is bright, the colors are vibrant, and there's little else that I could ask for. I say this a lot, so you can skip this section if you've heard it, but Lenovo's ThinkPads have the best keyboards on the market. They're the most comfortable to type on, and they're the most precise. I make the fewest typing mistakes on a ThinkPad, and I rarely get a mistake where it's too sensitive or not sensitive enough. This is something that matters to be a lot, as I type articles for a living. A comfortable typing experience is really more important than anything else. Of course, the keyboard is backlit, which can be toggled on and off with the Fn key and the spacebar. As noted earlier, there's the iconic ThinkPad TrackPoint between the G, H, and B keys, so there are multiple methods are navigating the cursor on this machine. 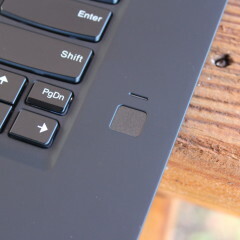 The trackpad is clickable, but there are also three physical buttons above it. These are really more useful with the TrackPoint. Obviously, the left and right buttons are for left- and right-clicks. 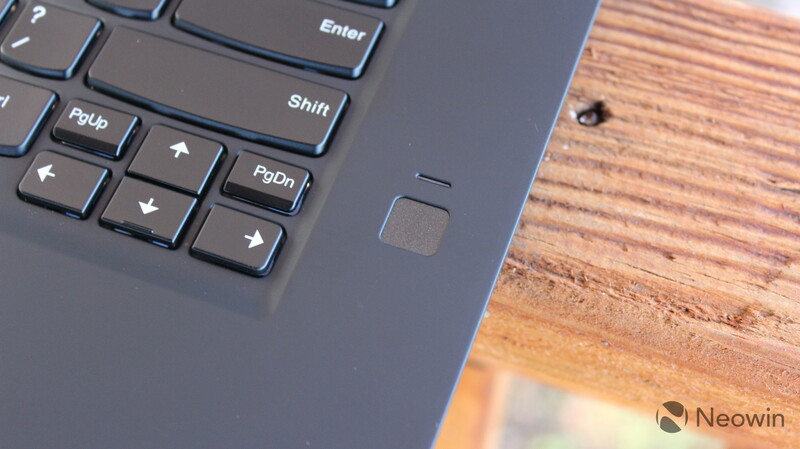 The center button is for scrolling, so you can hold it down and use the TrackPoint to scroll up and down or left and right. The keyboard doesn't follow the trend we've seen across the board of shallower keys. 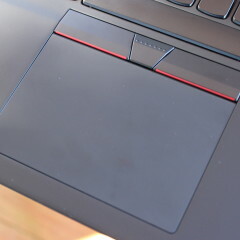 Lenovo does tend to use slightly shallower keys on its convertibles, but this is a clamshell, so it has a full keyboard. There isn't too much resistance though, something that I'll often find in keyboards with longer key presses. It's a longer distance from when I press the key to when it's pressed, but it doesn't feel like it's taking extra effort. Honestly, the keyboard just feels perfect, and that includes the carbon fiber palm rest, which feels soft, cool, and comfortable. One other thing I want to note about the keyboard is that, as with all ThinkPads, the Fn key is to the left of the Ctrl key. The good news is that you can swap them in the Lenovo Vantage app. 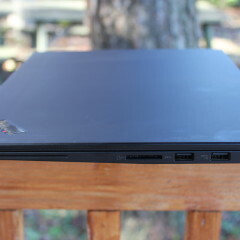 The Lenovo ThinkPad P1 packs an Intel Xeon E-2176M CPU, along with Nvidia Quadro P2000 graphics, 32GB RAM, and a 2TB SSD. I know, it's a beast, especially since it all comes in a four-pound package. The Xeon E-2176M has a 45W thermal design power (TDP), powering six hyperthreaded cores, so 12 threads. It has a base clock speed of 2.7GHz, with a max Turbo Frequency of 4.4GHz. In many ways, it compares to Intel's 45W H-series chips. The Core i9-8950HK does have a higher clock speed, but it doesn't support things like vPro or ECC (error correcting code) memory. 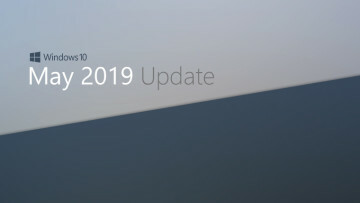 The i9 also doesn't have support for things like the Stable Image Platform Program and Intel Trusted Execution Technology. 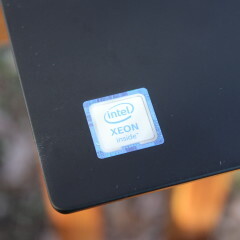 Xeon is more of a workstation brand, so there are a lot of work-related features. It also has a 12MB SmartCache, whereas something like a core i7-8750H has a 9MB SmartCache. Keep in mind that the Core i9 does have its benefits, and it will perform better under gaming workloads and such. 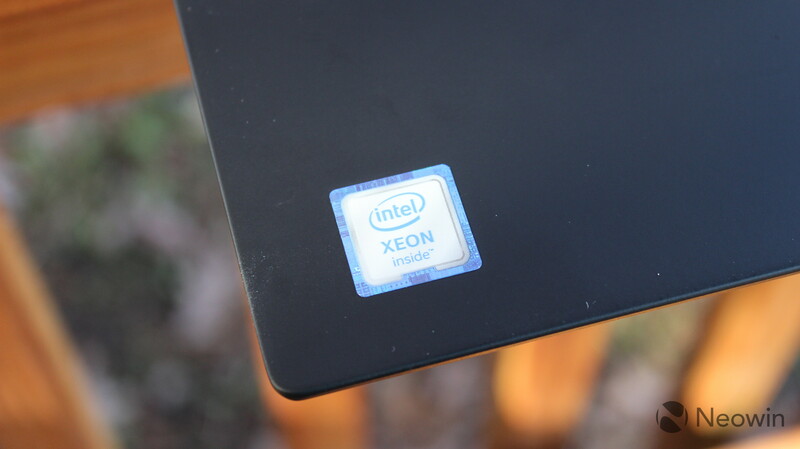 The retail prices that Intel lists is $450 for the Xeon and $583 for the Core i9, so while the Xeon has many features that the i9 does not, it's tough to say that one is unilaterally better than the other. As far as actual usage goes, I've used this machine for editing 4K 60fps video, and it takes about the same amount of time to compile as my desktop, which is great. I've even played some games like Forza Horizon 4 and Cuphead (no, I will not stop playing that game until I master it). These are games that don't require intense resources though, and as I've said, this is not a gaming machine. If you want something that's more engineered toward gaming but still not a gaming machine, look toward the ThinkPad X1 Extreme. But what I really love is that I can sit and work on this PC as well. The thing about workstation PCs, or any mobile PC that's designed to be powerful, is that they tend to be big and bulky, and tough to take on the go. 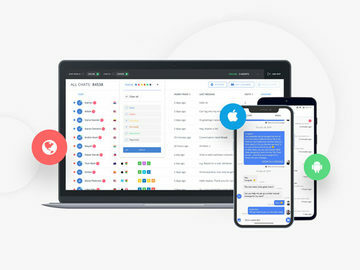 Or, they can be so built for powerful tasks that the designers forget about the fact that these devices have to be used for less powerful tasks as well. 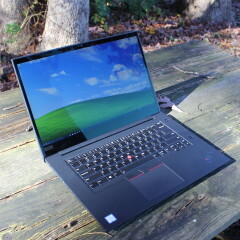 The ThinkPad P1 does both quite well. For benchmarks, I used PCMark 8. There are three tests: Home, Creative, and Work. Home tests common tasks like video chat, casual gaming, and more. Next up is the Creative test, which checks more GPU-intensive tasks like mainstream gaming, video editing, and more. As you can see, it performs pretty well all around. One more thing that I want to point out is that the battery life is awful. 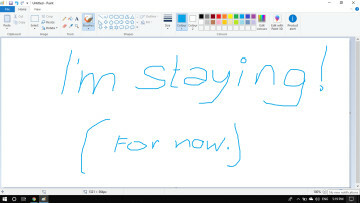 This isn't a strike against the ThinkPad P1. With great power comes great battery consumption, even with an 80Wh battery. It's something that you'll want to keep in mind though. 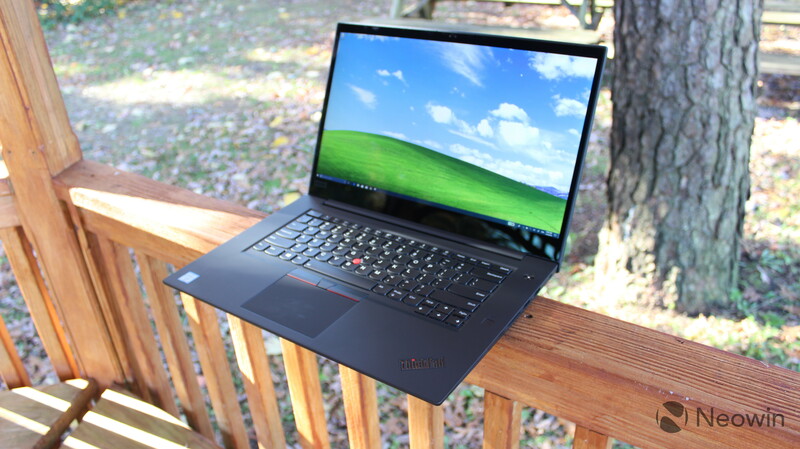 If you're looking for battery life, you might want to get the ThinkPad X1 Carbon instead. If you're looking for workstation power and battery life, see if you can find a machine that runs on magic. I want to thank Lenovo for finally giving in to IR cameras. 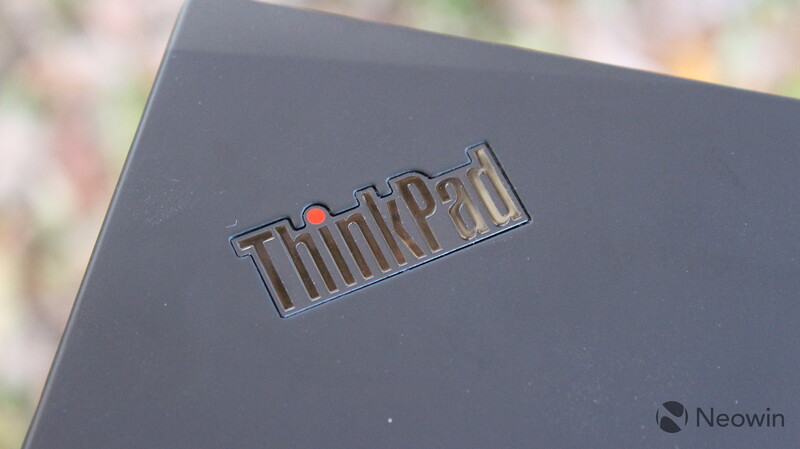 Seriously, to me, this was one of the biggest things missing on ThinkPads in previous years. 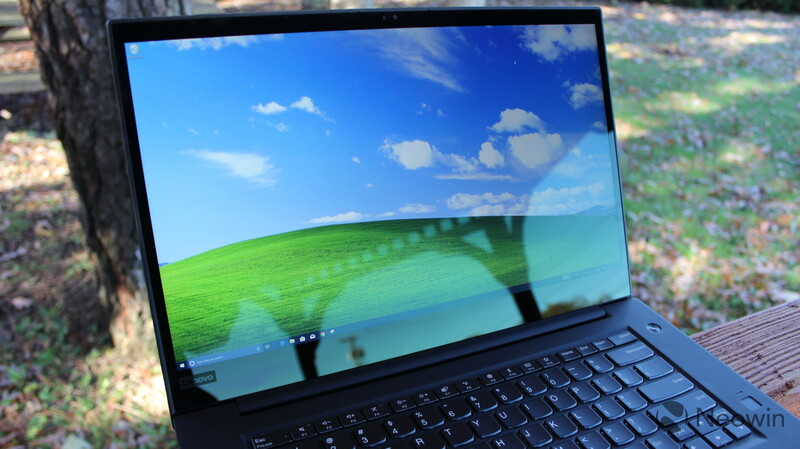 ThinkPads have had fingerprint sensors since before Windows Hello was even a thing, but there's something natural about being able to sit in front of your PC and just have it recognize you. 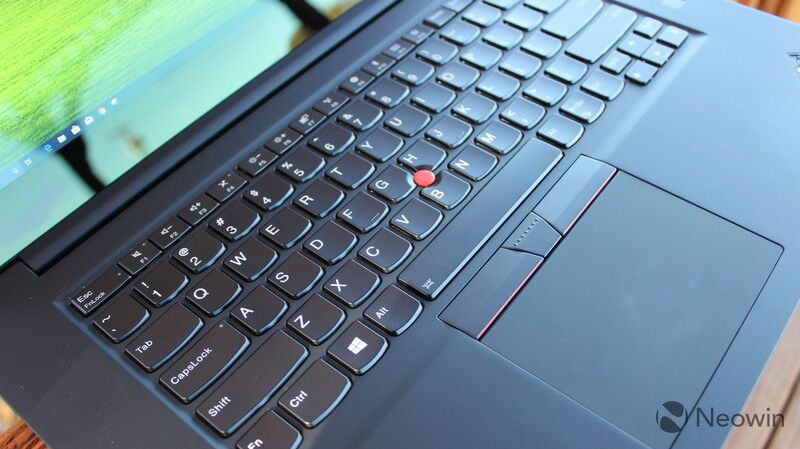 So the ThinkPad P1 has both an IR camera for facial recognition and a fingerprint reader. As always, choice is great, and it's nice to be able to have a backup in case one doesn't work. I think we've all been in the awkward position when our fingerprint reader doesn't recognize us and we have to go through the embarrassing task of entering a PIN like a barbarian, or even worse, a password. My one complaint is, as usual, that Lenovo makes us choose between ThinkShutter and the IR camera. ThinkShutter is a built-in privacy guard for the camera. You just flip the switch and the camera is covered, so you don't have to use tape anymore. Unfortunately, Lenovo hasn't yet worked out including both the ThinkShutter privacy guard and an IR camera onto the same device. But yes, it's lovely. Ultimately, it comes down to knowing your use case, and what's best for you. 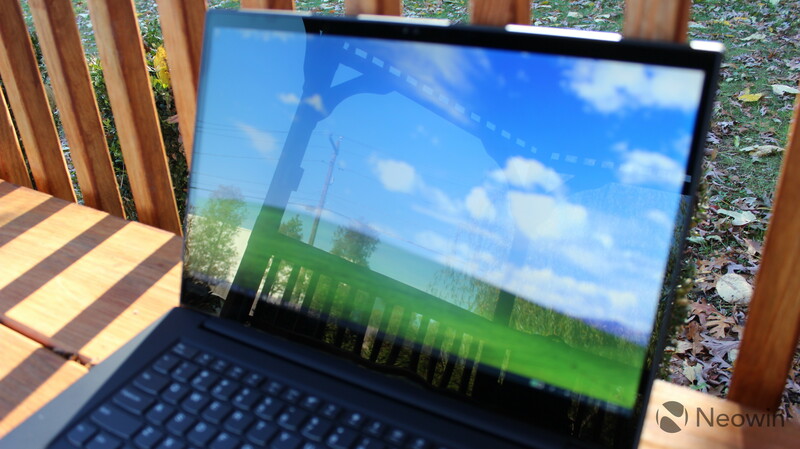 If you need a mobile workstation that's easy to carry around, the P1 is perfect. 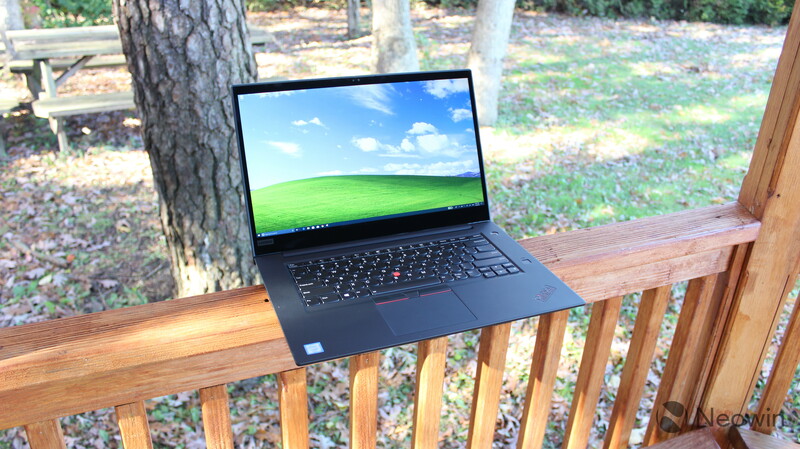 Otherwise, if you still want power, you might want the ThinkPad X1 Extreme. 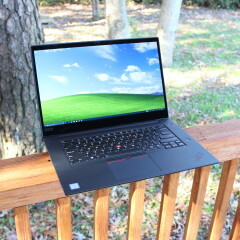 If you want pen support on a convertible, the X1 Yoga is there, or for a super-light clamshell, there's the X1 Carbon. 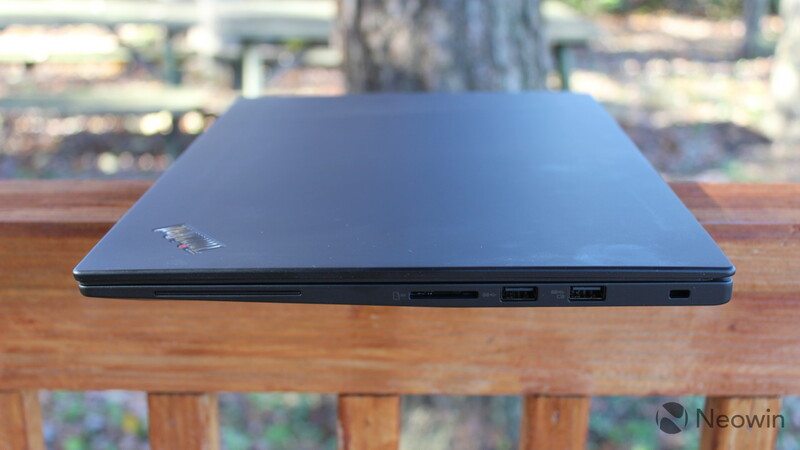 If you need a workstation but the P2000 GPU isn't enough power for you, take a look at the ThinkPad P72, even if it's tough to carry around due to its size and weight. There's really something in the ThinkPad lineup for everyone, and if you buy the one that's right for you, you're going to absolutely love it. 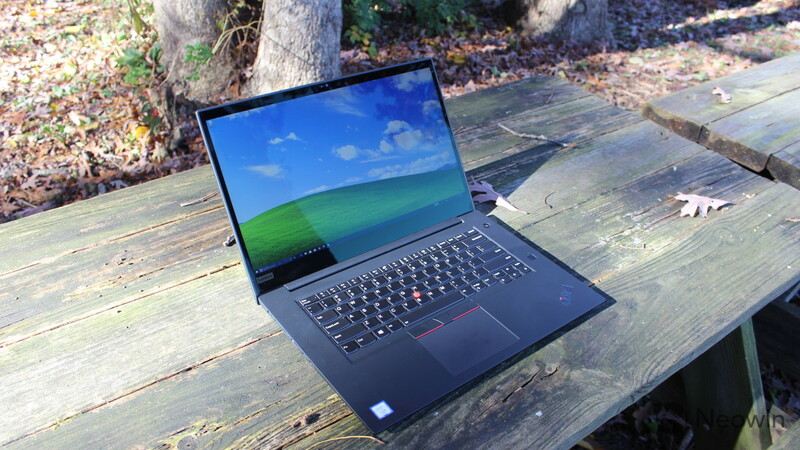 Like I said, know what you want, because if the Xeon processor and Quadro graphics sound like they're up your alley, then the Lenovo ThinkPad P1 is pretty much perfect.